Khepri, god of the sun and ultimate protector of team mates who just don't know when to back out of a fight. Whether you love him or hate him, this an essential god for any support player to be familiar with. This guide aims to give players a basic understanding of the mechanics and strategy of Khepri and provide a solid foundation to build upon and master the god with. In Egyptian mythology, two gods are responsible for the passage of the sun across the sky. 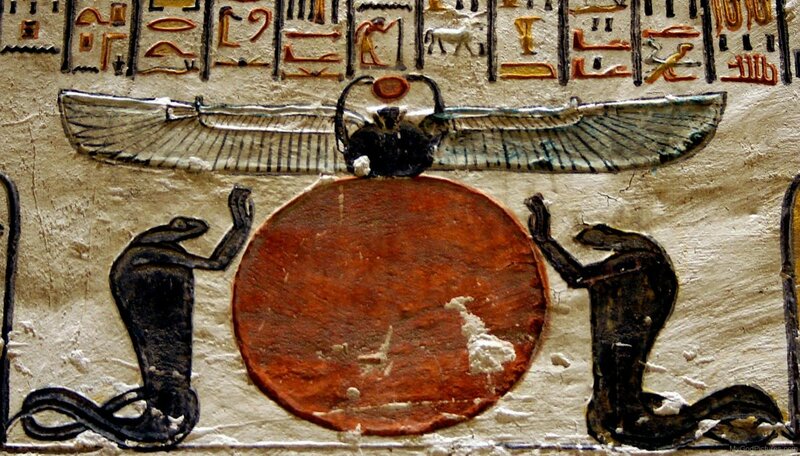 Ra is charged with guiding the sun over the earth and thus creating daytime. At dusk, he passes it off to Khepri, the great beetle that sees the sun through its journey into the underworld. Know as the Dawn Bringer, Khepri is depicted as a loyal guardian of humanity that represents the values of loyalty and protection. 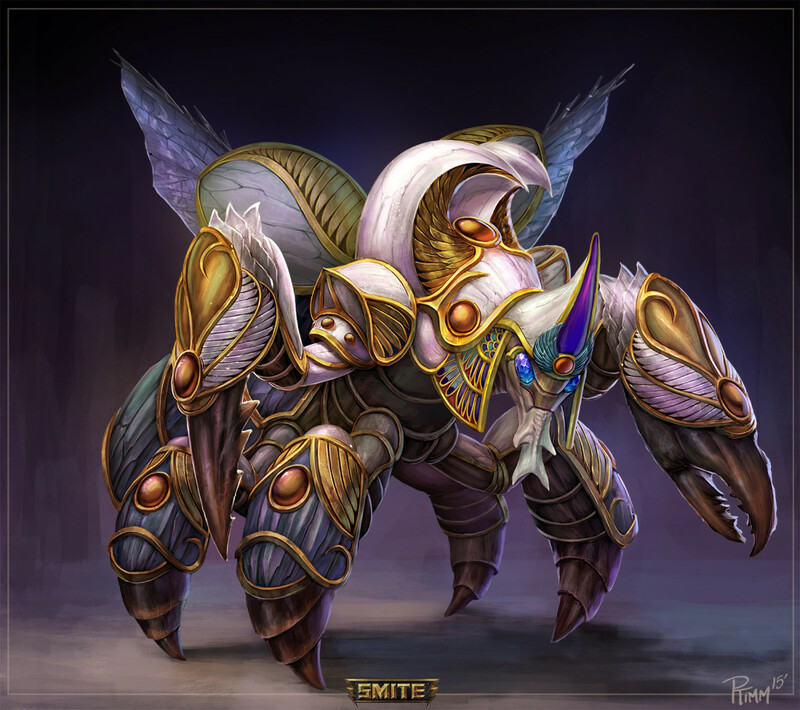 Khepri’s passive, Fortitude, is a clear result of his protective tendencies. Every five seconds, Khepri shields himself and nearby allies for 2% of their max health. The cycle slows to ten seconds while in combat and the buff lasts for 15 seconds. While this may not seem like significant protection, it’s enough to save someone in a pinch. Abduct is Khepri’s first crowd control and primary peel. 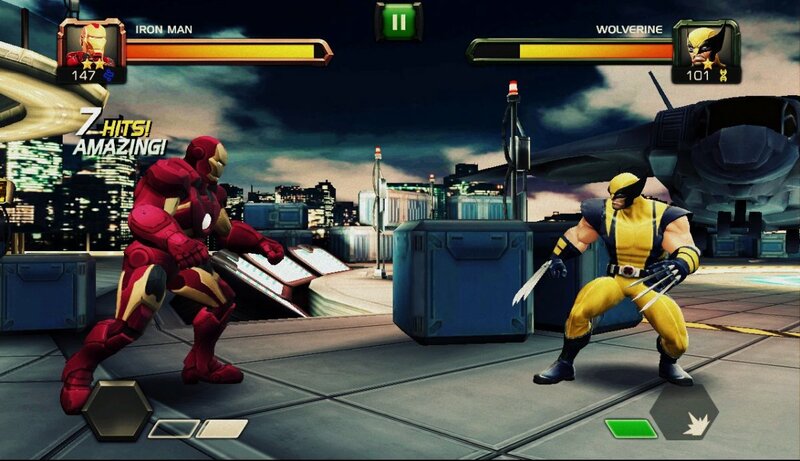 With it, he charges forward, dealing damages to enemies along the way and grabbing an enemy god. As he pulls them backwards, they are silenced. This is incredibly useful for pulling foes into a tower or dragging threats away from allies. 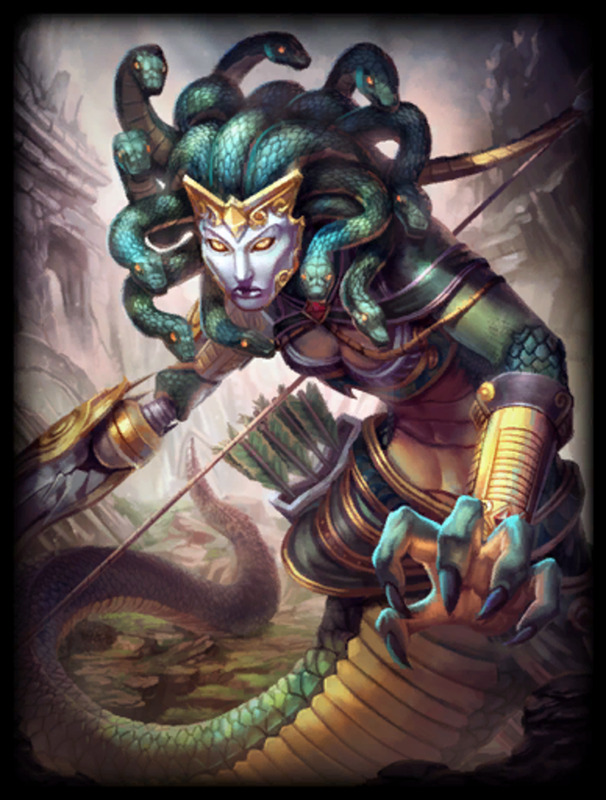 Caution is advised, however, as enemies can still use basic attacks while being held and thus Khepri is rather vulnerable when using this. 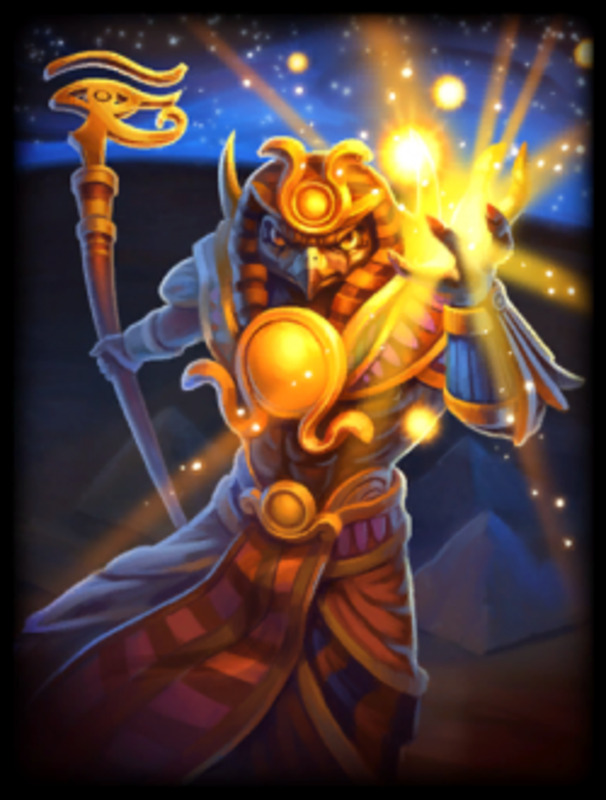 Khepri’s wave clear comes in the form of Rising Dawn, a linear ability in which Khepri rolls the sun forward, applying a damage over time effect to enemies and giving any allies it hits a damage reduction. This is particularly useful in the early duo lane as it allows Khepri to weaken enemy minions for his partner while protecting his own wave. Solar Flare is the beetle’s stun. This is a small circle of light that both damages and roots enemies. The stun is the most useful part of this ability as it allows Khepri the versatility of pinning targets for allies to attack or flee from. Khepri’s ultimate, Scarab’s Blessing, is one of the best of any supports in the game. 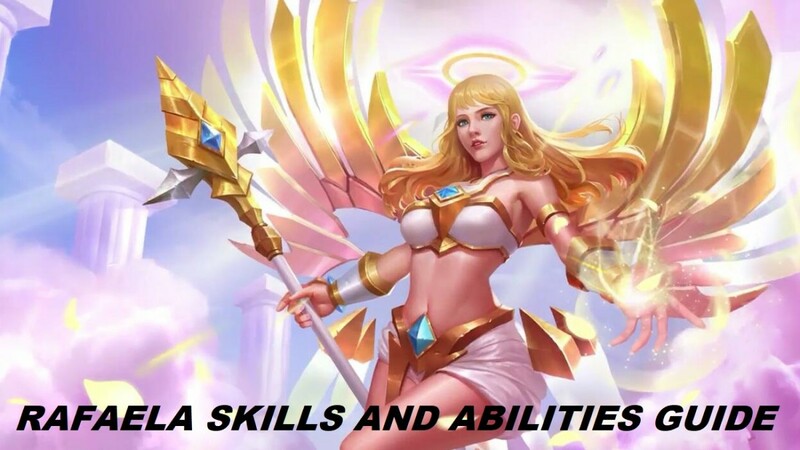 When used, this ability applies a buff to the targeted ally, freeing them from crowd control effects, giving them movement speed, and making them immune to slows. The best part about this is that if the marked ally dies while blessed, that ally is resurrected a moment later at Khepri’s location (with a small portion of health restored). With careful timing and positioning, Khepri can save the life of a key player and return them to the fight, thus tipping the odds back in his team's favor. As of right now (mid-season 3) Khepri can be built just like other supports without any problem. Watcher’s Gift is the ideal starting item (especially since Mark of the Vanguard was nerfed recently). Following this should be Shoes of Focus, though some builds experiment with specialty shoes like Traveler's Shoes. After this will come either aura (Heartward Amulet and Sovereignty) or stack items (Hide of the Urchin). This decision depends on both personal preference and the composition of the enemy team. 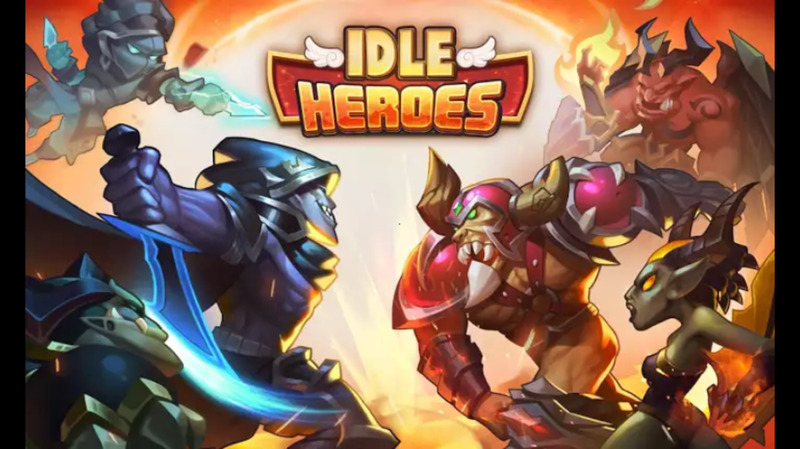 Ultimately, the question is whether the player wants to help allies with additional protections (auras) or by becoming a greater tank (stacks). If one is building Hide of the Urchin, this should be bought early in the game so stack generation can begin as quickly as possible. 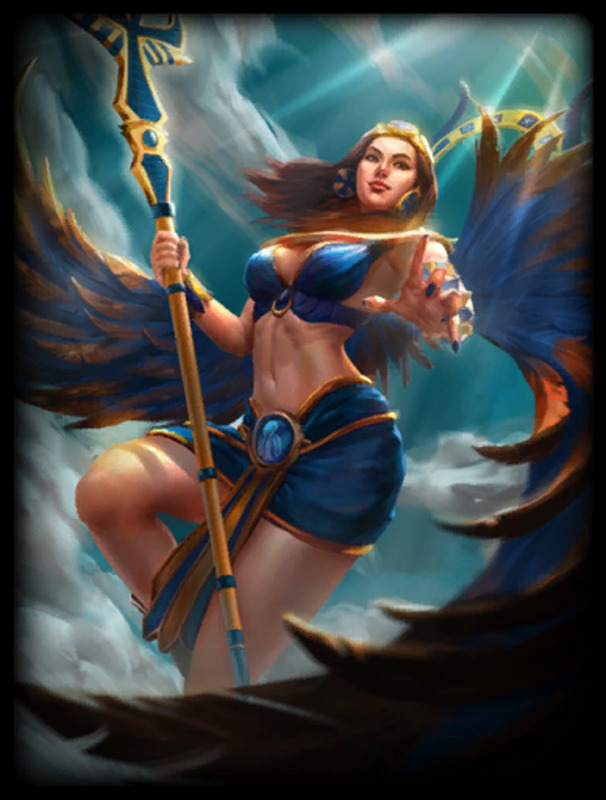 Following those, Breastplate of Valor is a wise pick as it protects Khepri from the physical damage of the enemy ADC and grants additional cooldown reduction. Mail of Renewal is a worthy substitute if health is being prioritized. Other items that one can’t go wrong with are Bulwark of Hope and Spirit Robe. Anything following these will be primarily situational. A primarily magical enemy team will best be countered by Genji’s Guard. Healers can be stopped by purchasing Pestilence, and physical damage can be best negated with Midgardian Mail or Hide of the Nemean Lion. In-depth build guides and additional information can be found at the community sites SmiteFire, SmiteGuru, and Tiermonster. Khepri is, at his core, a god that exists to protect and support his allies. His kit is incredibly solid and offers good options for crowd control and protection. His ultimate, when used correctly, can save an ally from a failed push, gank, or anything else that would otherwise spell their demise. Fortunately, Khepri doesn’t have any major, crippling weaknesses. Overall, the player only needs to play intelligently, counter build well, and position oneself safely to avoid outright failure. If anyone can dispute this, please give your opinion in the comments, as the author feels that Khepri is quite balanced right now. Khepri is a support god, without a doubt. He excels in duo lane and really shouldn’t be seen anywhere else (exceptions of course for the rebellious souls in solo lane). Early game, he should be with his ADC, protecting him from enemy aggression and ganks. Eventually, however, he should be safe to roam a bit and provide additional pressure in mid lane. In team fights, Khepri’s job is to help control the flow of battle with his grab and stun to protect squishy allies and pin down flighty enemies. His ultimate is best used to bring back the ADC or mid laner as these are the people expected to deal the most damage and whose roles in fights are absolutely critical. Caution is advised, however, because the timing of this takes practice as it’s surprisingly easy to ult too early or hesitate too long and miss saving an ally. Hopefully you're feeling more confident about playing Smite's big beetle, and if not, please leave a question in the comments below and, in proper support player spirit, we'll help you out! If you think this guide is less than stellar, feel free to leave some feedback for the author to use for improvement. Have a wonderful day and enjoy your time in the battleground of the gods! 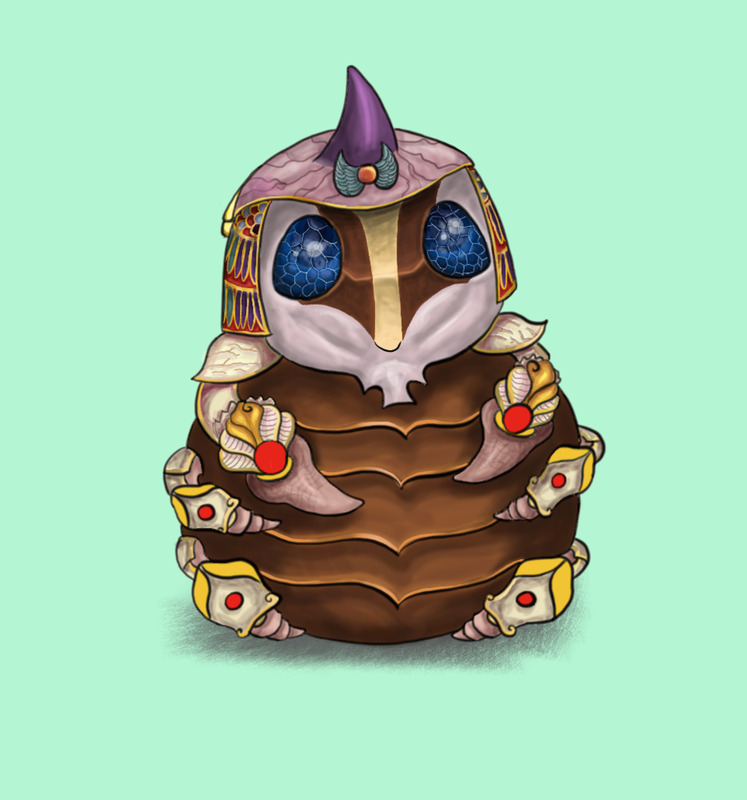 How do you feel about Khepri? I don't play him/don't see him played enough to have an opinion. Hi-Rez did a stellar job with rebalancing him! He's not in a bad spot, but he needs some work. You make some very good points Nithmir. I forgot about the slight activation time with his ult, that's important to know. Thank you so much for your feedback and advice!